A handsome young man poses causally with his Greyhound. 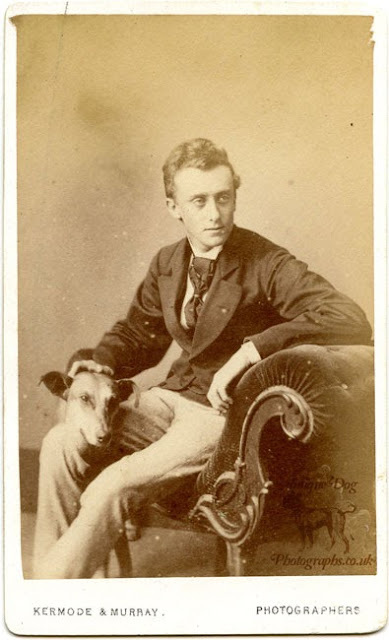 The man's right hand rests lightly on the top of the dog's heads so to steady it for the exposure of the photograph. 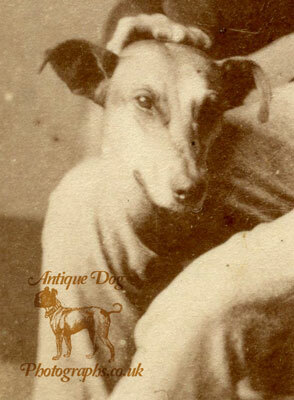 The dog's eyes look exactly as described in Stonhedge's 1872 book The Dogs of the British Islands - "full and bright, giving the idea of high spirits and animation." 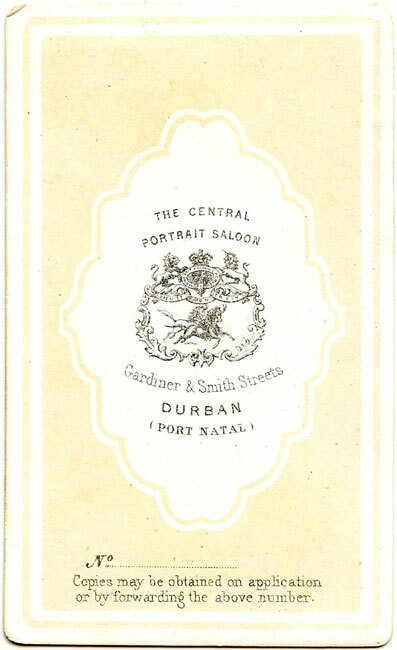 The photograph was taken by photographers Kermode & Murray in the 1870's at their "Portrait Salon" in Durban's Port Natal. 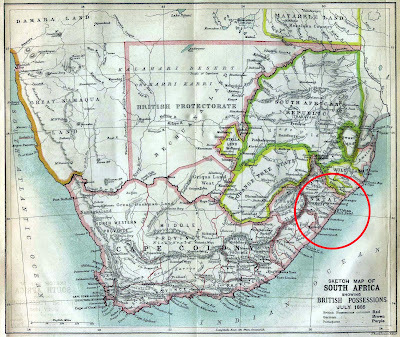 Natal was a colony located in the South East corner of Africa. In the Christmas of 1497 it had been discovered by the Portugese. Natal means Christmas in Portugese. 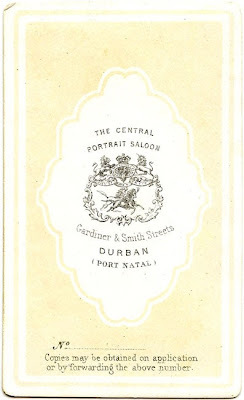 Natal was known for having the "best soil outside of Cape Colony". 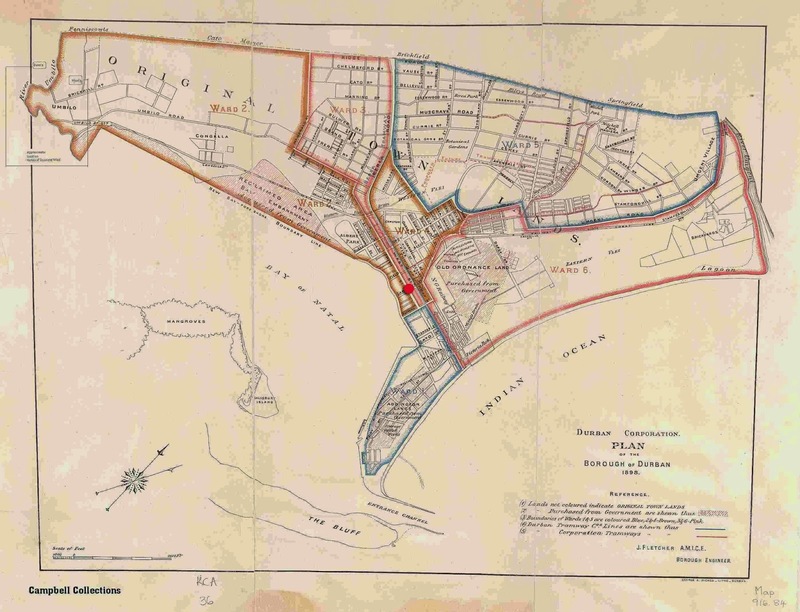 This attracted a group of 25 British settlers under British Lieutenant F. G. Farewell in the early 1800's, and they established a settlement on the northern shore of the Bay of Natal, near today's Farewell Square. 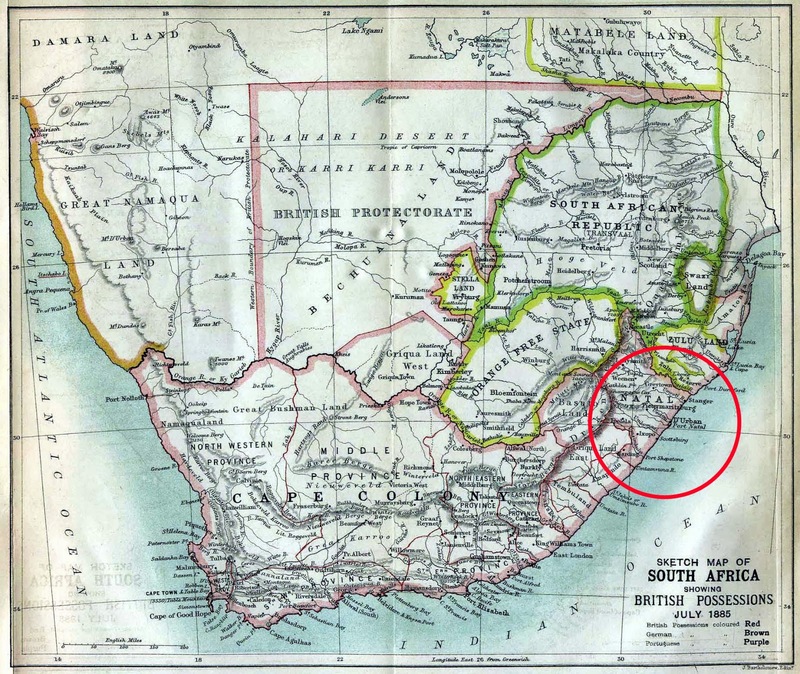 Members of the settlement were able to administer medical aid to the powerful and influential Zulu chief Shaka after he'd been injured in a battle, they were justly rewarded. 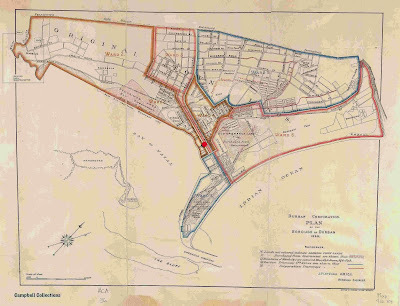 As a token of gratitude, he granted the tiny settlement a "25-mile strip of coast a hundred miles in depth." 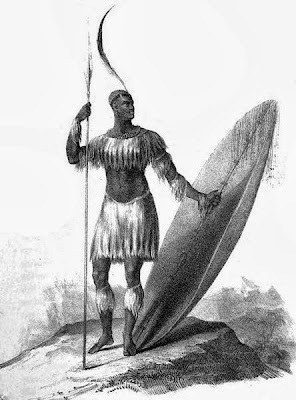 1824 European artist's impression of Shaka with a long throwing assegai and heavy shield. "God and my right shall me defend."